2015: Trainee at the State Museum of Natural History, Stuttgart, Germany. Martin L., Addison B., Bean A., Buchanan K., Crino O., Eastwood J., Flies A., Hamede R., Hill G., Klaassen M., Koch R., Martens J., Napolitano C., Narayan E., Peacock L., Peel A., Peters A., Raven N., Risely A., Roast M., Rollins L., Ruiz-Aravena M., Selechnik D., Stokes H., Ujvari B., Grogan L. (2019): Extreme competence: keystone hosts of infections. Trends in Ecology and Evolution 2476. Martens J. M. & Stokes H. S., Berg M. L., Bennett A. T. D. (2018): A mixed-species brood of wild Australian parrots (Platycercus eximius and elegans) – accident or brood parasitism? Australian Field Ornithology 35, 87-90. 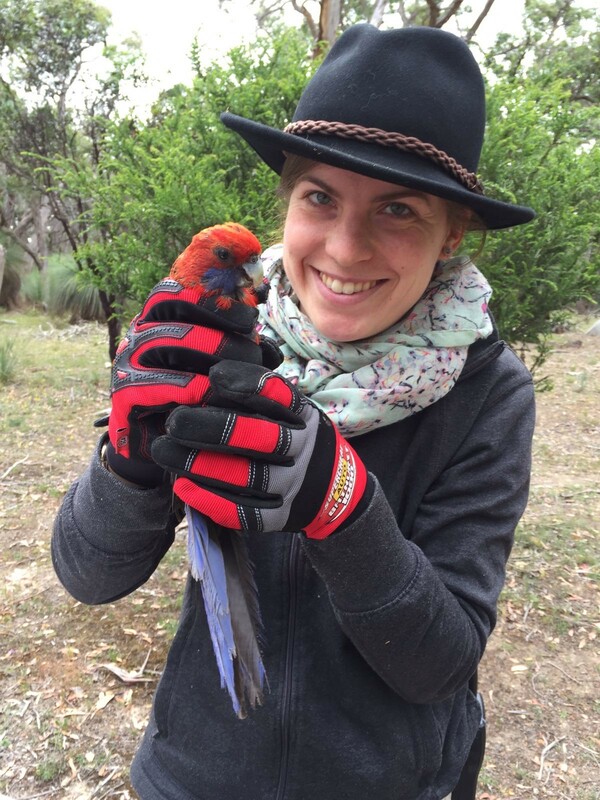 Eastwood J. R., Berg M. L., Ribot R. F. H., Stokes H. S., Martens J. M., Buchanan K. L., Walder K., Bennett A. T. D. (2018): Pair fidelity in long-lived parrots: genetic and behavioural evidence from the crimson rosella (Platycercus elegans). Emu Austral Ornithology 118(4), 369-374. Martens J. & Woog F. (2017) Nest cavity characteristics, reproductive output and population trend of naturalised Amazon parrots in Germany. Journal of Ornitholgy. doi:10.1007/s10336-017-1436-9. Martens J., Hoppe D. & Woog F. (2013) Diet and feeding behaviour of naturalised Amazon parrots in a European city. Ardea 101(1), pp. 71 – 76. doi: 10.5253/078.101.0111.